40 CB channels Full channel coverage. SWR calibration Allows calibration of antenna system for maximum performance. Antenna warning indicator Illuminates when antenna needs checking. 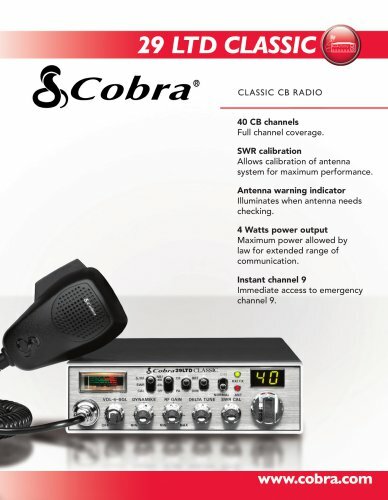 4 Watts power output Maximum power allowed by law for extended range of communication. Instant channel 9 Immediate access to emergency channel 9.